Some symbols just hang with you for a while and are an analogy of where you are. 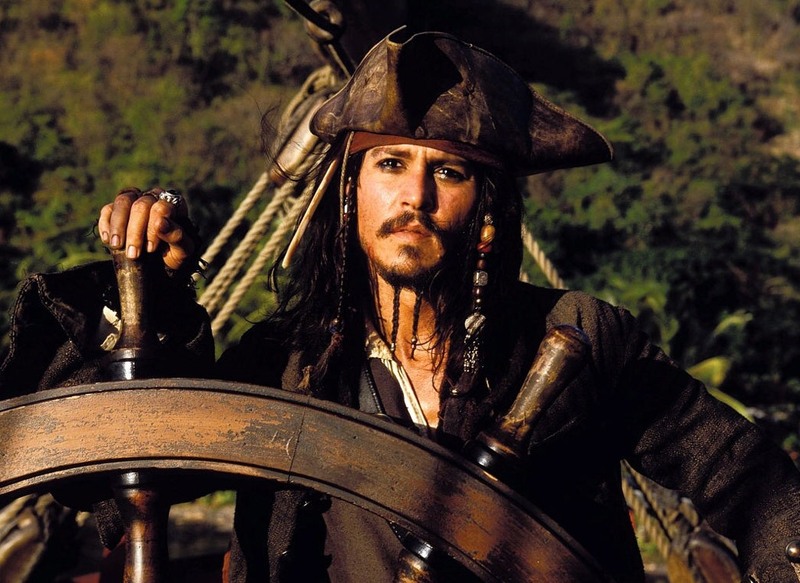 For this blog entry I will use the pirate ship to tell this passage of conflict. Pirate movies in my mother’s era were all the rage. Errol Flynn and his tights and sword made women swoon. He was a hero and had the bravery to beat the baddies, woo the woman and take the helm of the ship. Women would swoon. Jonny Depp has replaced Errol and for most of us of this era his is a perfect replacement. Not the classic hero, but deadly handsome, somewhat realistic as a flawed man who can handle a sword, make women melt with his drunken kiss and revel in good dose of skullduggery. He is human and fallible, like many of us and he knows how to get his ship back when robbed even if that means dealing with the undead! He attracts others to him that can see through his game playing and be of support when the chips are down. 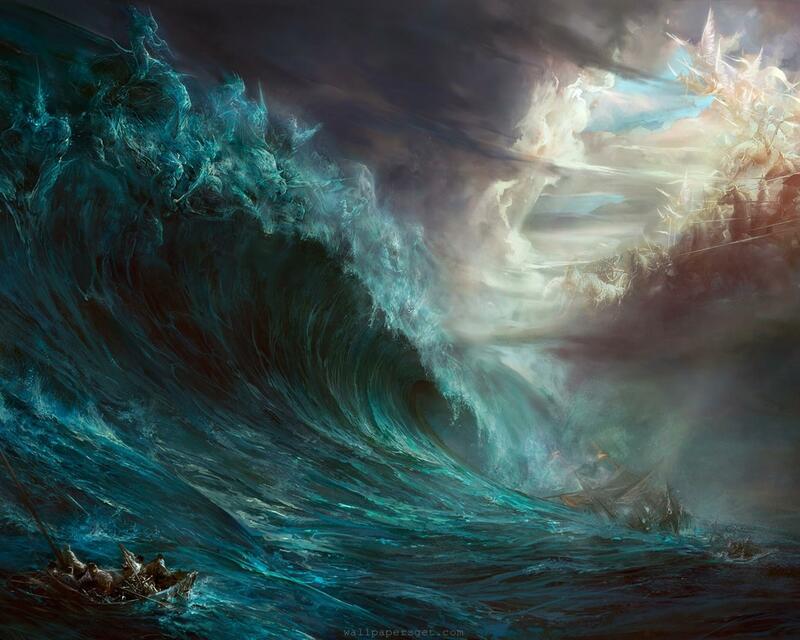 If we look at the symbol of the ocean being akin to our emotions and the ship being the ship of our inner psyche we can often feel like a boat on the big seas battling the wild weather. 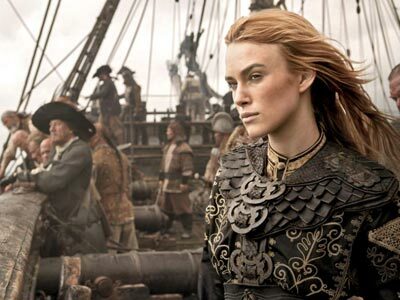 We may have to deal with invading pirates who jump our ship, taking the loot and robbing the ship of its instinctive feminine heroine which represents our intuitive knowing. Through this we are left feeling desolate and unsure of our direction. Many are training to be adept at steering our own inner boat through the storm clouds and tempestuous waves, however if you don’t have any support aboard the ship you are left to watch the helm yourself. What happens if you feel overly tired or sick and you want to go the cabin beneath to take rest? Someday’s can be very hard on the psyche and its very tempting to hide from the hurricane on the bow and just let the ship be smashed by the waves. The worst days can feel as if your boat has run ashore and there are leaking holes throughout. This is your ship you’re the captain. What happens to the ship and where it ends up, is in your hands. It’s important not to abandon your own vessel. The captain (a person who is at the head of or in authority over others; chief; leader) needs to keep a keen eye on all the parts of the ship and the way it is being run. Sure you can pull your ship into port, anchor it, and take out a longboat and row to shore for a rest, but be mindful you do not leave your ship behind so it rots on the sea or on the shore. It is up to you to keep the ship in tip top condition. Now some of you may ask, why do I have to do it all own my own? Well you’re not on your own. Your inner world is yours to create. 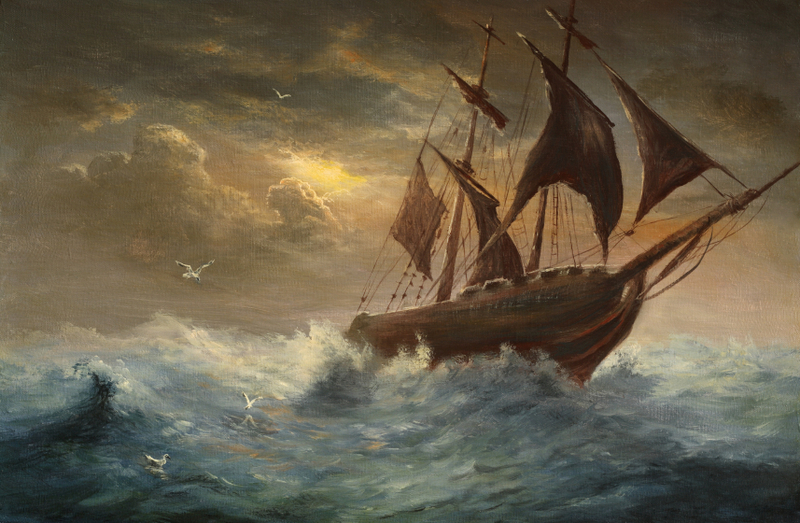 I realize when I feel all at sea and troubled by wild or heavy storms an aspect of me is still working on the ship. And that’s when I call in spirit helpers to assist if need be. Be mindful not to let others take over your ship. Move into calmer waters for a while until you establish your inner strength as a captain at the helm. 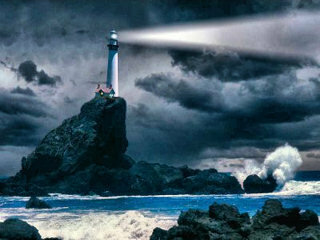 My inner compass still points north and deep in my soul I know that’s where I am headed. To the heart of wisdom, the connection with my spiritual ancestors and great mystery. The lighthouses that are around as you move from coast to coast help you too remember that there is the guidance of light on your voyage no matter how dark. However as I am dealing with the heavy storm I make sure I have locked the helm in place so my inner di rection does not get diverted too far off course. I can go and get some rest in the cabin, I can sulk on the bow of the boat for a time, I can call in spirit helpers so I don’t feel so isolated and I can also plan an island rest from all duties for a while, whilst getting tools and supplies so as to build up strength. Being lost at sea is very overwhelming and can be terrifying to be out in the dark of the great ocean. If you look at ships out in the big sea you will notice that they bob up and down with the waves. The great ocean is in control, but if the steering is kept locked in to its direction, the ship is able to move through the changes and get to its destination. Of course there are times when the ship takes on a huge amount of water and you may fall off the ship. Many are terrified of drowning in the deep dark waters below. This is a good time to call upon the medicine of the oceans. Like working with Whale Medicine or Dolphin Medicine perhaps or even the seahorse and it ability to float in any direction. It’s important to let the waters of emotion flow through you, knowing that you CAN breathe like the dolphin and get knowledge from the great record keeper, the whale. This is practice in getting your sea legs and knowing how to RIDE THE WAVE of life. Good one, Odette. 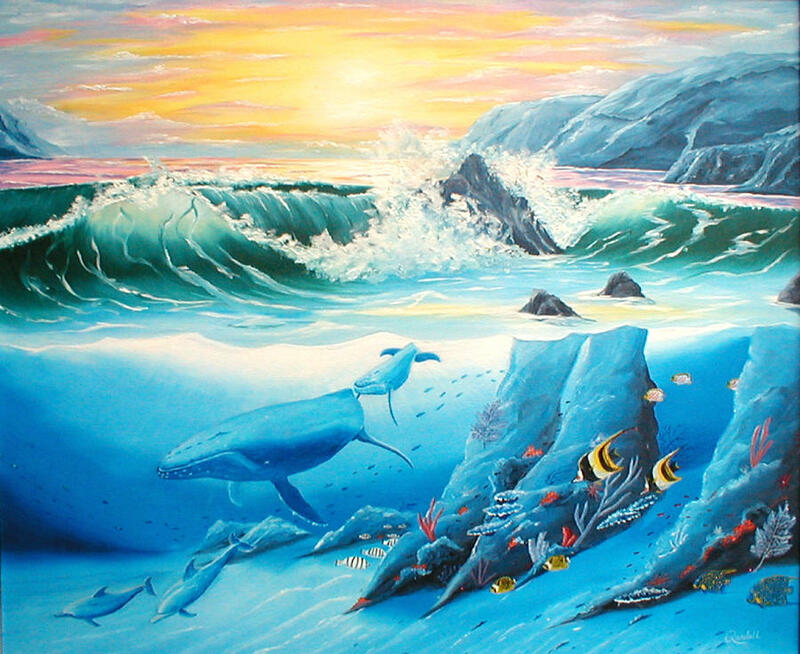 I love the idea of the ocean and the deep unconscious. Having the moon in Pisces probably makes me relate to the image even more.